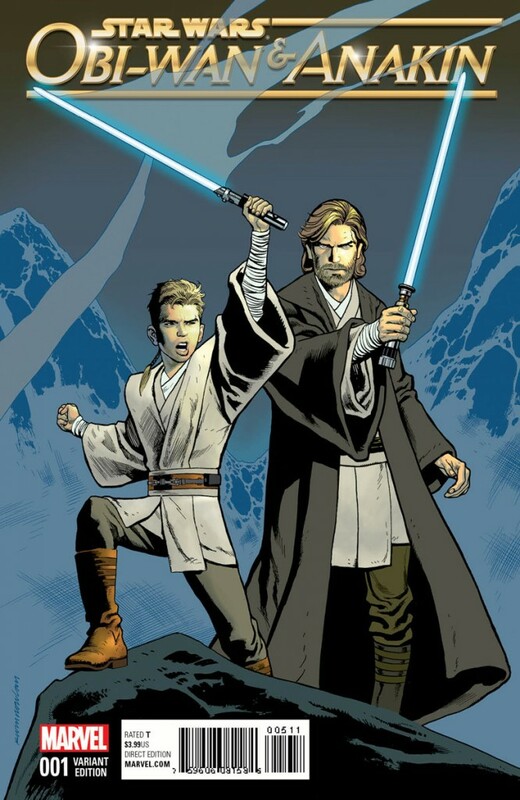 Home›Reviews›Obi-Wan and Anakin - First Volume in Marvel's Latest Star Wars Mini-Series! Obi-Wan and Anakin - First Volume in Marvel's Latest Star Wars Mini-Series! DISCLAIMER: This review contains minor spoilers for people who have never seen the Star Wars films, and for this comic. You have been warned. Marvel got back the Star Wars comic license in 2015, and immediately won audiences over with their new, canon stories. 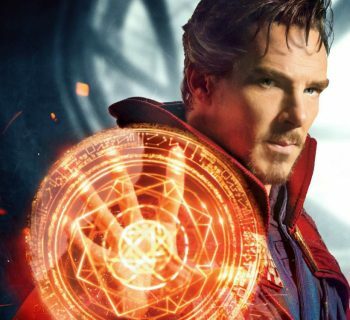 With the arrival of the new year, Marvel is continuing the ongoing efforts, and will be introducing a number of new series/mini-series/one-offs in addition to continuing their current ones. Obi-Wan and Anakin, following the two eponymous characters, is the latest in the growing number of mini-series. Obi-Wan and Anakin is slated to run for five issues (which seems to be the standard number of issues for the majority of the mini-series that Marvel has done in the Star Wars universe so far). While the bulk of the comic series so far have been set in the Classic Trilogy era, Obi-Wan and Anakin explores a time frame previously unexplored in the new canon, between Episode I: The Phantom Menace, and Episode II: Attack of the Clones, setting it in the Prequel Trilogy era. Obi-Wan and Anakin is set in the years following Episode I: The Phantom Menace. Some years have passed since Obi-Wan Kenobi narrowly defeated the Sith Lord Darth Maul in combat, avenging his fallen master Qui-Gon Jinn. Upon his promotion to full Jedi Knight, Kenobi took young Anakin Skywalker (later to fall to the Dark Side and become the Sith Lord Darth Vader) to be his Jedi Padawan, per Jinn’s dying wish, despite the fact that it went against the general consensus of the Jedi Council. 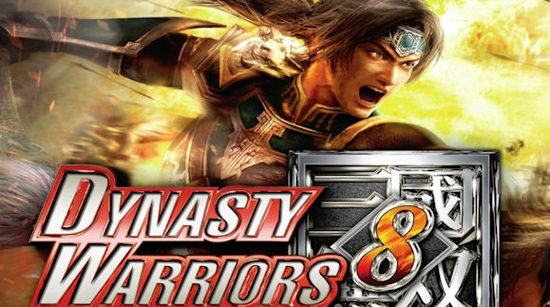 Master and Padawan are dispatched to a mysterious, dystopian world whose general population long since destroyed themselves. Following a rough landing, the twosome explores their surroundings, only to find themselves face to face with a strange female duo that have never heard of the Jedi! 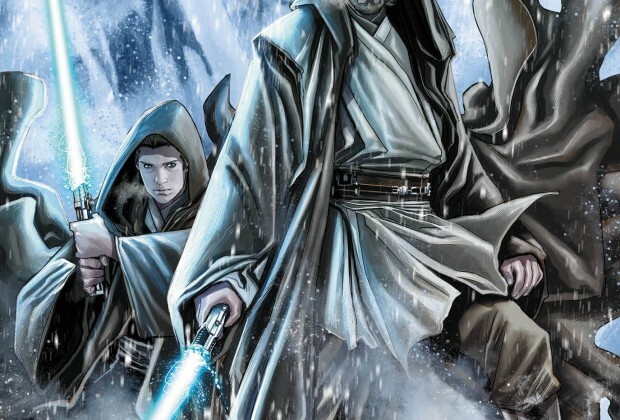 Obi-Wan and Anakin, like other Star Wars comics, is being released with a number of collectible variant covers. A flashback sequence in the comic details Anakin’s training in the Jedi Temple, and his early efforts to becoming a master of lightsaber combat, as well as his relationships with Kenobi, Mace Windu, Chancellor Palpatine, and his fellow Jedi Knights in training. Issue one of any comic book has a tough job; it has to hook the reader and gain their interest so that they will return to the comic store to purchase the subsequent volumes. Obi-Wan and Anakin’s first issue is brief and seems to fly by faster than a fan would like. But in that fairly limited scope, the writers and illustrators do manage to get the attention of the reader, and they certainly left this long time Star Wars fan curious for more. Marvel has certainly put their best artists on the individual Star Wars series, and Obi-Wan and Anakin proves to be no exception. The characters look true to their movie counterparts and the scenery true to the big screen as well. The crew on this comic had two major challenges; creating a new world to serve as the scenery for the action of the comic, and to find a way to make Anakin Skywalker look older than he did in Episode I, but younger than he did in Episode II. Fortunately, they succeed in both regards here. The world that serves as the setting for this new comic is dystopian and desolate; other reviews comparing it to something out of a Mad Max movie really are not that far off. We see ruined cities, and even crude airships fashioned out of the remains of old craft, which gives something of a steampunk look to what we see. In other words, the comic and its setting look and feel totally unique, but it is still distinctly Star Wars through and through. The writers also clearly understand the characters and their relationship with one another. Anakin is, even from this young age, headstrong and not afraid to question his master’s beliefs and those of the Jedi Council, yet he clearly has a strong amount of respect towards his superior as well. The Prequel Trilogy was derided by a number of fans yet not without its redeeming qualities; the Obi-Wan/Anakin relationship being a major one. It is good to have a crew on this comic that understands what these characters are all about and what motivates them. There is not a lot of action in this first volume of the new mini-series, but it sets the stage beautifully, and this fan is more than eager for what is to come. Star Wars fans will not want to miss Obi-Wan and Anakin, the latest in a long line of fantastic Star Wars comics from Marvel! Star Wars - A Continued Look at the Canon Novels and Comics!